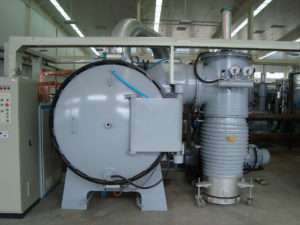 How to troubleshoot and repair the leak vacuum furnace Each device has its own specific furnace scope, but each material drying device can be found to meet the basic requirements of a number of species, but there is only one best suited. Such as improper selection, users bear unnecessary addition to a one-time high procurement costs, but also to pay a heavy price throughout the life, such as low efficiency, high energy consumption, high operating costs, poor product quality, or even simply means not functioning properly, and so on. The following is a selection of the general principles of the furnace, it is difficult to say which one or several of which are the most important, the ideal selection of electric blast oven must be focused on their own terms, sometimes compromise is necessary. 1. Applicability drying device must first be able to apply to specific materials, and meets the requirements of the basic material drying, including material handling well (feeding, conveying, fluidization, dispersion, heat transfer, discharge, etc. ), and to meet the basic requirements of processing capacity, dehydration volume, product quality and other aspects. 2. The drying rate is high only in respect of the drying rate, the material is highly fragmented when convective drying in hot air, the critical moisture content is low, drying speed, and with a convective drying, critical moisture content of different drying methods are different, thus drying rate are also different. 3. Low power consumption of different energy targets different drying methods, generally dry heat conduction efficiency theoretically up to 100%, convection drying only about 70%. 4. Investment in drying device saves the same function, and sometimes significant differences between its cost, should choose those who use its low. 5. Run the low cost of equipment depreciation, energy, labor costs, maintenance, spare parts and other operating expenses electric oven blast the cost to as low as possible. 6. prefer a simple structure, adequate supply of vacuum spare parts, high reliability, long life drying device. 7. comply with environmental requirements, working conditions are good and safe. 8. The former can make the best selection of material drying experiments, in-depth understanding of the drying apparatus similar materials have been used (strengths and weaknesses), often for proper selection of help. 9. does not rely solely on past experience, and acquire new technology, listen to experts.